Thanks to the ability to schedule publication of post this may well go up whilst I’m in the final minutes before the race begins. What you read here will be what I plan to do after the gun goes off. Then only time will tell how well I follow this plan or how well it works. 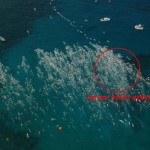 For those who want to check what’s happening you can follow me on the Athlete Tracker at ironman.com. Race number is 1492. This is going to be brief I’m afraid. There’s nothing really grand in the plan, I’ll be building on what I’ve done in the past. Besides right now I’d rather be relaxing! Even now I’m not 100% sure what to do. There are far more strong swimmers here than in other races so I’ll place myself a bit further back. I’m thinking I’ll opt for the centre and see what comes. Hopefully most people looking to avoid the melee will head to the sides and the middle will be empty! I’ll be in my swimskin and I think that helps a little even if it’s psychological. Plan is to keep focussed and working throughout the swim. Be aware of my breathing and ensure I don’t go too hard in the excitement though. Generally rely on my ability to build into a good pace and then draft as much as I can. Time goals? I really don’t know, hopefully around 1:05 or better! Should be able to go under 1:10 for sure really. We shall see on the day. What’s going to be different here is how many people will already be out on the road. I need to use this to help keep me pushing. There’s plenty to pass during the day. That said I have to stick to my smart pacing plan. I know the sort of heart rate I work at and hopefully I’m acclimatised enough that heat will be less of an issue. I’ll focus on that mid-130s to low 140s heart rate and keeping a strong effort in my legs. The aim is to build into it, not go out too hard. Use the early town stage to settle into things and get comfortable. Then as the legs come round and I know they always do start to push some more. Hopefully I can move through the field and make some real gains here. Time goals are simple, try and break 5:30 with transition included. Nutrition is the usual combination of a few Mule bars, a bottle of High 5 gels and water from aid stations. Given heat and humidity I’m very aware of the need for hydration too. This should be where I’m in my element! Now’s when I hope to really move through the field. Heat and humidity are factors so I just need to stick to a sensible pacing strategy going by feel. The goal is to be running somewhere around 7:10 to 7:15 miles. If I can get close to that as my comfortable starting pace then I am looking at a potential 3:10 marathon again. Somewhere around the turn around at the energy lab I’ll start thinking about pushing things. The aim is to try to get there in shape to pick up the pace for the last 10km once again. If things go well I’ll finish the run strongly yet again. My last couple of runs have been good confidence boosters for sure, but I’m aware of the heat. Nutrition will be from two bottles of High 5 gels in my pockets and primarily water at aid stations. Hopefully this will work as well as it has done in the past couple of races. I’ll take on gels from early in the run as I come to aid stations. Once I’m into the final 10km and hopefully going harder I’l stop taking nutrition and stick to fluids. Time goals? I’m hoping with transition this will be under 3:15. Add those all up and I’m ambitiously aiming to go under 10 hours in my first time in Kona. I’l stress once more that the aim is to enjoy the day and to experience this race. 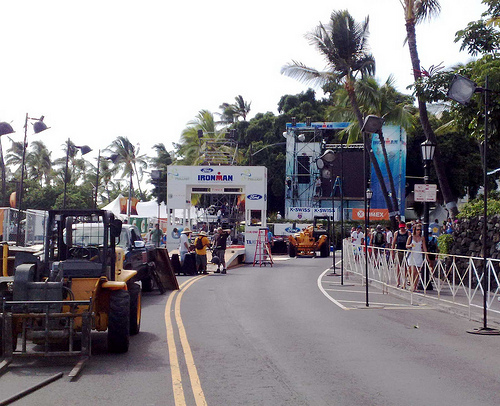 Finishing Kona is the first priority. That said with the amount of work I’ve put in and my experience of racing I should know what I’m doing and set myself targets. Next time I post it’ll be with the results. Thanks to everyone who’s sent messages of support I hope to deliver a great race!